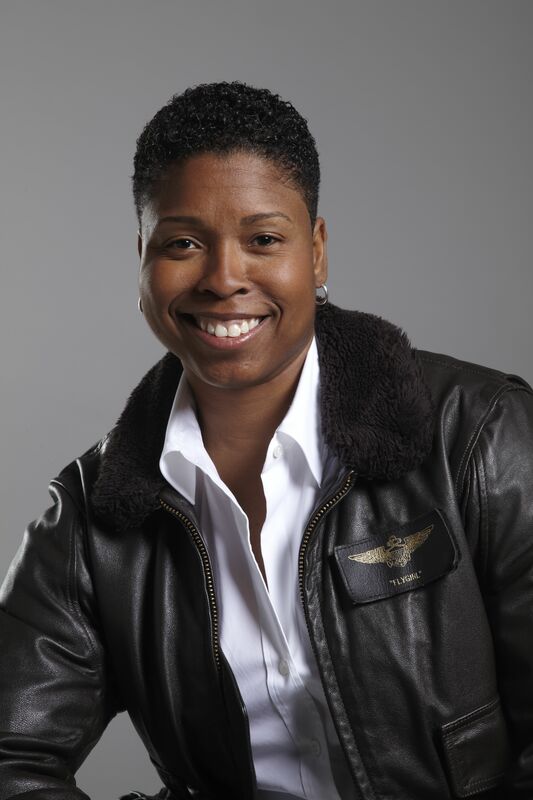 What does it take to become America’s first African American female combat pilot? 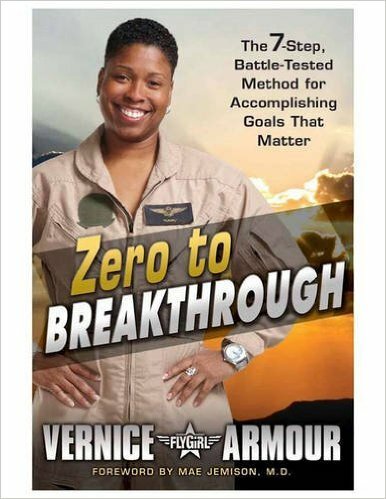 For Vernice “FlyGirl” Armour, it was going from Zero to Breakthrough! 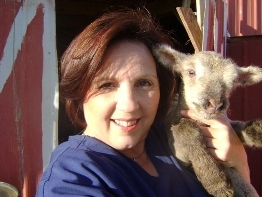 She believes that harnessing the mindset of mission accomplishment no matter what the barriers, or perceived barriers, may be is the breakthrough mentality required to accomplish whatever you set you mind to. By refusing to settle, even in the smallest moments and demanding a breakthrough in every challenge, Vernice flew to new heights. She remembers a conversation that became the catalyst for her own new flight plan and mission for life. Humbly relating that she was “just doing her job” when she used pinpoint accuracy in her Cobra fighter helo to destroy a building housing an enemy mortar position in Iraq, she shared a story. A few years after returning home from the war, she met a man who’d been in that same battle. He approached her and said, “Ma’am, you saved my life that day.” He had been one of the soldiers under attack. It was the deployment of Denise’s missle that took out enemy warriors who had been attacking his platoon. Vernice completed two tours of duty in the Gulf, earning an Air Medal with a star of Valor, thirteen Strike Flight awards, a Navy and Marine Corps Commendation Medal, a Navy Presidential Unit Citation, and load of other awards, decorations, and public recognition. 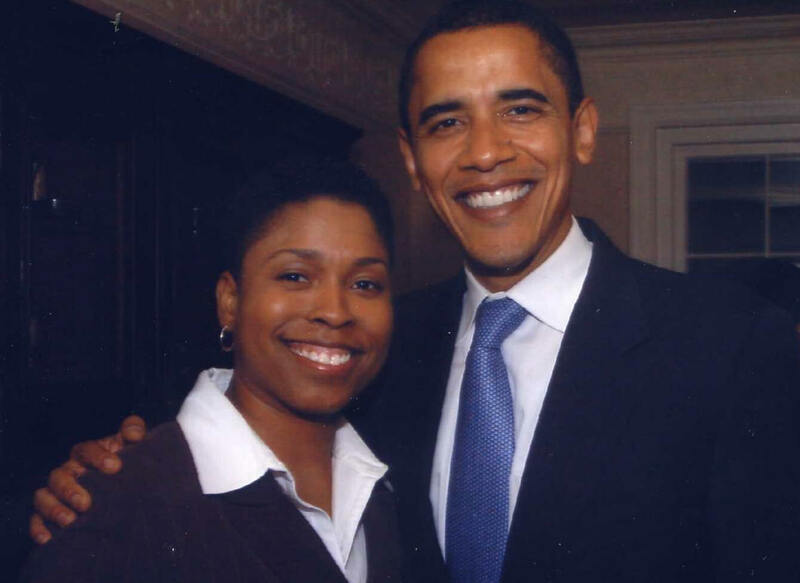 She’s been featured on Oprah, CNN, Tavis Smiley, NPR and numerous other TV and radio programs. According to Oprah Winfrey, Vernice has “no shortage of accomplishments” describing her as “awesome girl…awesome!” But despite this notoriety, her sole purpose is igniting the flame of passion within our youth to improve their productivity and commitment to achieve personal accomplishments within our society. As a pioneering pilot, Vernice used her commanding role in technology and engineering to achieve what many said she could never do – become a combat pilot. She ignored any naysayers along the way. She believes that women and men from all walks of life have the potential to achieve higher levels of success if they can only create the right flight plan. As such she took her mission on the road, writing the book Zero to Breakthrough. Her vision for an America that maintains greatness one accomplishment at a time, is for individuals to create their own flight plan designed to take them to new heights. Vernice describes a seven step, battle-tested method for accomplishing goals that matter. Today she works as a coach, national speaker, consultant for large entities such as Bank of America, NASA, the Secret Service, and Comcast. She is very clear in her message that she doesn’t believe in being average, striving for mediocrity, or just fitting in. When interviewed, she related to me that she never focused on racism or sexism. According to Vernice, who found herself surrounded my a majority of males in her chosen professions, she stayed focused and did her job. Just like the boys. She never demanded special privileges or favors. In fact, her journey and education started with her becoming a police officer. At one point, she even played women’s professional football. But once she achieved that, she was spurred on to further greatness. In 1994, attended Middle Tennessee State University and participated in Army ROTC. She trained as a Marine officer in 1998 at Quantico Marine Base. Her first deployment in the Marines was with Marine Air Craft Wing MAG-39, in Marine Light Attack Helicopter Squadron 169, learning to fly the Cobra. Vernice uses some of her military jargon to motivate others. One of her slogans is “You have the permission to engage. You are cleared HOT!” In other words, give yourself the permission to begin; to start steps toward achieving one’s goals and aspirations. When flying in the middle of combat and needing to engage the enemy, pilots have to ask for permission to shoot their weapons. The magical phrase needed in order to protect Marines and Soldiers on the ground is ‘Cleared Hot.’ That means, go for it. All clear. One of her tenants is “acknowledge the obstacles, DON’T give them power. There will be many times that barriers, such as racism or sexism are present. Financial barriers, societal barriers, or even doubts within ourselves may threaten to thwart plans. But no matter what the roadblock, she encourages focus to come up with solutions. She emphasizes that how we react versus respond to barriers is the answer. Create your own flight plan, develop consciousness and awareness of what you are good at. Pre-flight – check out all the details, and troubleshoot. Release fears holding you down. Take off – give it some power and just do it. Execute – stay on course and focus. In each situation practice self-discipline to achieve mastery. Review, recharge, and re-attack! If faced with obstacles find solutions and go again. Vernice tells people, “If you do what average people do, you’ll have what average people have. And honestly, I haven’t met a single person who admits to wanting to be average.” She recognizes that people want to accomplish significant goals and become assets to their communities. Making that flight plan and committing to go beyond is the real breakthrough that leads to success, significance and a meaningful legacy for our society. Believing that there is no such thing as a dream out of reach, Vernice integrates the concepts of preparation, strategy, courage, legacy, and the importance of high spirits and enthusiasm to create an inner force. This “FlyGirl” blends compassion, humor, drive, and a no-nonsense attitude to ignite the fire within, help lay the groundwork for success, and discover the self-discipline that enables anyone to blast through obstacles and challenges. For these reasons and many more, AgeView Press is proud to have Vernice “FlyGirl” Armour as the fourteenth Belle of Steel. What are you waiting for? Go Zero to Breakthrough!